The wait is finally over—famous Hong Kong cha chaan teng, Tsui Wah, opens its doors to the public on 15 June 2018, 1pm! Known for their Swiss Sauce Chicken Wings, King Prawns in XO Sauce with Tossed Noodles and Hong Kong-style milk tea, Tsui Wah Singapore will take over the space of former Attica Club at Clarke Quay which faces the Singapore River. Fans will be delighted to know that the culinary team has been trained by chefs from Hong Kong to ensure that standards are kept high. So if you are ready to find out what Tsui Wah has to offer, continue reading on. With its reputation in the Hong Kong food scene, it is little wonder why many Singaporeans (including us) are excited about the opening of this popular Hong Kong Cha Chaan Teng in our city. Tsui Wah’s flagship restaurant at Hong Kong Central is a popular spot for party-goers at Lan Kwai Fong as it opens for 24 hours daily. So we are not surprised to know that Tsui Wah Singapore has chosen Clarke Quay as its first location. Similar to what you will find in their Hong Kong outlets, Tsui Wah Singapore will be offering their signature dishes including Crispy Bun with Sweet Condensed Milk (S$4), Pork Chop Bun (S$7.50), King Prawns in XO Sauce with Tossed Noodles (S$11), Malaysian Beef Brisket Curry with rice as well as their legendary Swiss Sauce Chicken Wings (S$11). Enjoy your food with the iconic Hong Kong-style Milk Tea (S$3.50), of course. However, you might have to wait a little longer for their iconic Bo Luo Buns and Chicken Rice as Tsui Wah will be slowly rolling out the full menu in Singapore. The King Prawns in XO Sauce with Tossed Noodles (S$11) is fragrant and prawns served are plump and juicy. The noodles are cooked to a great al dente texture which we enjoyed thoroughly. The Kagoshima-style Pork Cartilage in Fish Soup with Mixian features tender and delicious pork with a generous amount of smooth cartilage. You can also have it dry with instant noodles–the true Hong Kong-style. Tsui Wah’s Signature Pork Chop Bun is a Hong Kong staple and it comes highly recommended. Simple but oh-so-satisfying! 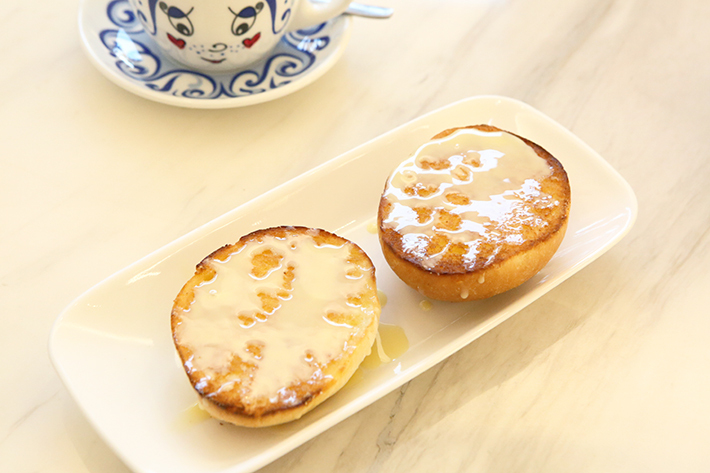 The Crispy Bun with Condensed Milk is one those with a sweet tooth must not miss out on. The condensed milk adds texture and so much flavour to every bite. Ultra-addictive! 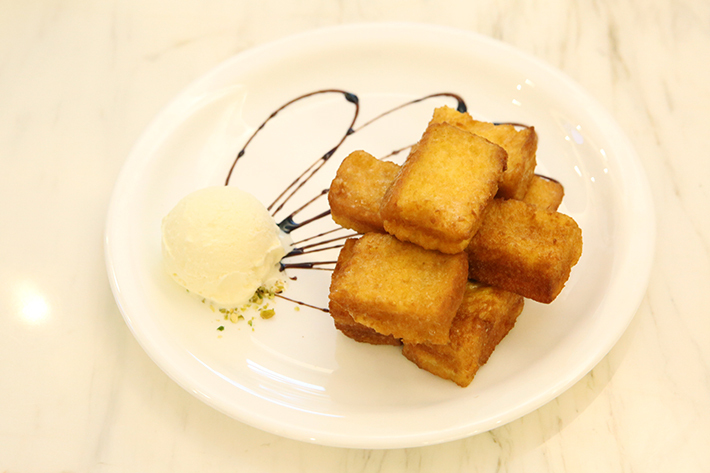 If you are looking for more sweet options, the Savoury French Toast Bites Served With Vanilla Ice Cream is a great way to end a hearty meal at Tsui Wah. Tsui Wah Singapore’s new operating hours are from 11am to 1.30am daily and there are four new menu items especially for supper which will start from 10.30pm with the last order at 1am. For quality Cha Chaan Teng fare at really affordable prices, head down to Tsui Wah Singapore to truly have a taste of authentic Hong Kong food. 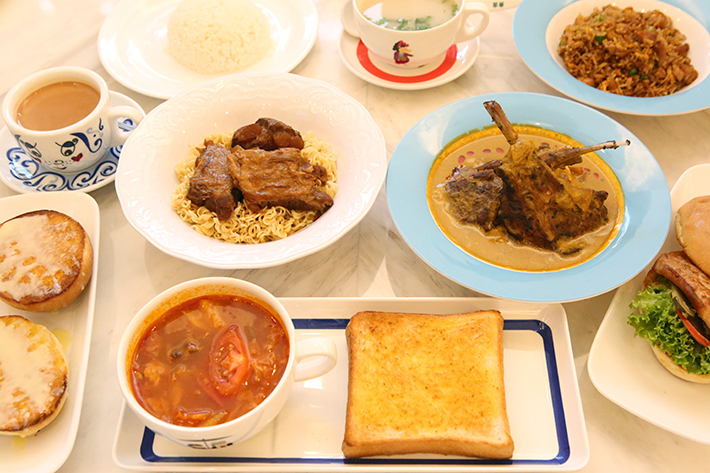 Read: 17 Best Cha Chaan Teng in Hong Kong you must dine at. Swiss Sauce chicken wing is not their signature dish!